From Excellent kababs , average to good North Indian curries, warm & efficient service to good ambience & nice décor – I guess it has all the ingredients of being able to successfully since 1959 . Address & other details: Havemore (Click on the link to access google map. Once you reach the market, u cannot miss the restaurant. In an uncertain world it takes caliber to run an establishment successfully for more than 5 decades. Though every enterprise goes thru stages of life that includes a ‘decline’ stage, Havemore is nowhere near that. 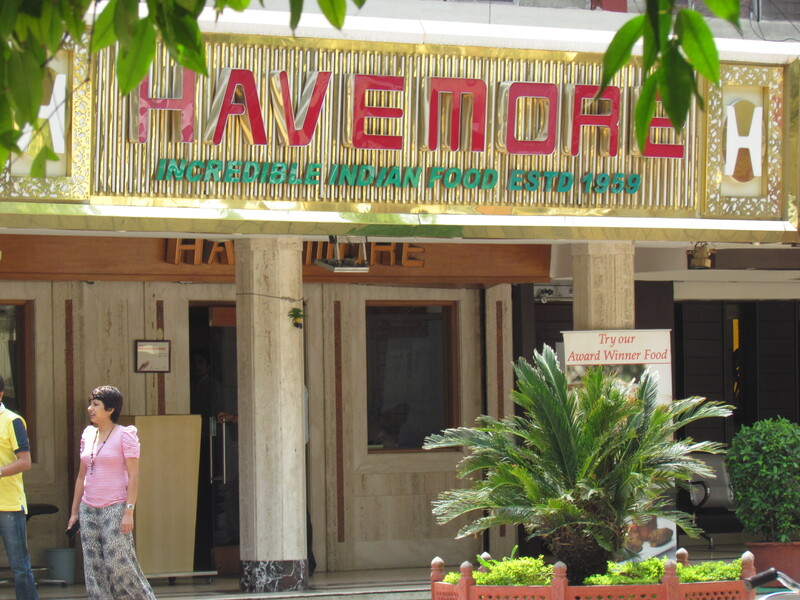 Infact I was told Havemore has had a recent makeover & hence is probably back at a strong pace. This is located in the tiny Pandara road Market which also houses Gulati. Parking used to b quite a mess in my previous visits but was pleasantly surprised to find hassle free parking owing to the road being one-way & the coordination by the guys who r responsible for the paid parking. A snake charmer was playing his ‘been’ in front of the restaurant & that was attracting a lot of kids & tourists. Infact, there were lots of expats and tourists in the restaurant (50% of tables today were occupied by non-Indians today), I guess in expectation of authentic Indian food. The Staff was a mix of new and old school. New ones were pretty cheerful and nice. The older ones were seasoned, knowledgeable, efficient but I guess a bit bored with life – doing the same stuff over & over the years. I guess it was a good mix of staff & they complimented each other. The guy serving us was a young one & he was very attentive & helpful thruout our stay. The menu card was of a simple two page no-nonsense kind. It just listed the items – no pictures, no descriptions. Food was very good in general with some ‘wah’s & some ‘aah’s. We ordered for Chaanch (buttermilk). It was thin, tasty, not overtly masaledaar & good enough for a palate cleanser. It was exactly what I was looking for. 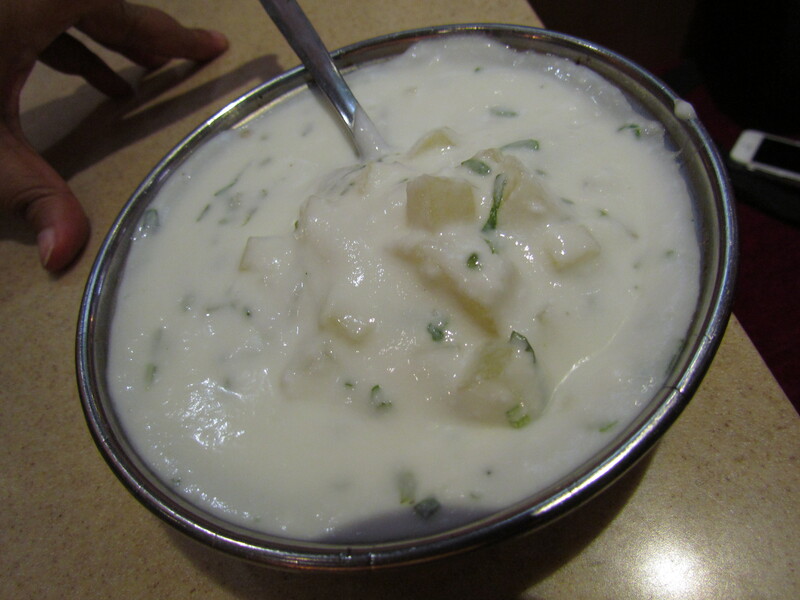 No comparison to the real chaanch made by churning the set curd made from full cream milk, that u get in the unnamed dhabas of NH8 (the ones in which only truckers go, not the touristy ones). By Delhi standards the Havemore chaanch was very good & I give this a 4/5. 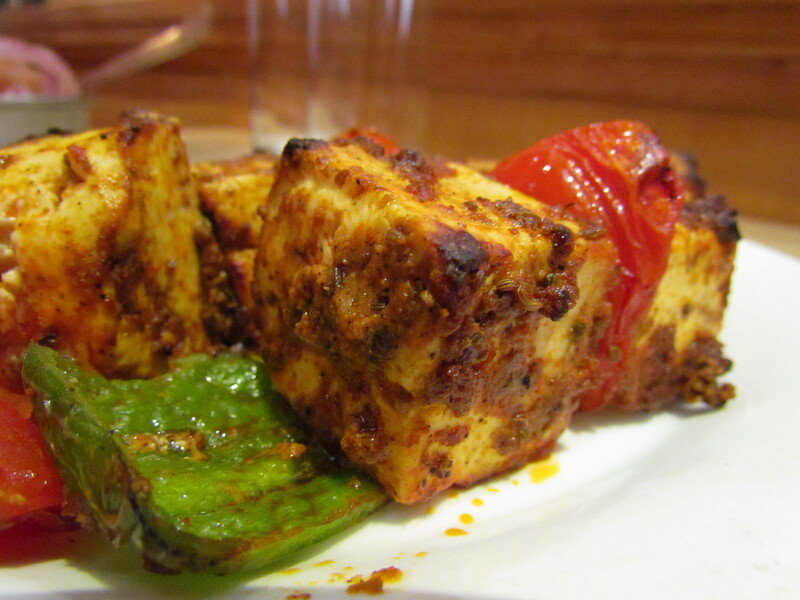 Our first dish for the day was Paneer tikka. It was very soft (I have had softer at Indus Flavors). 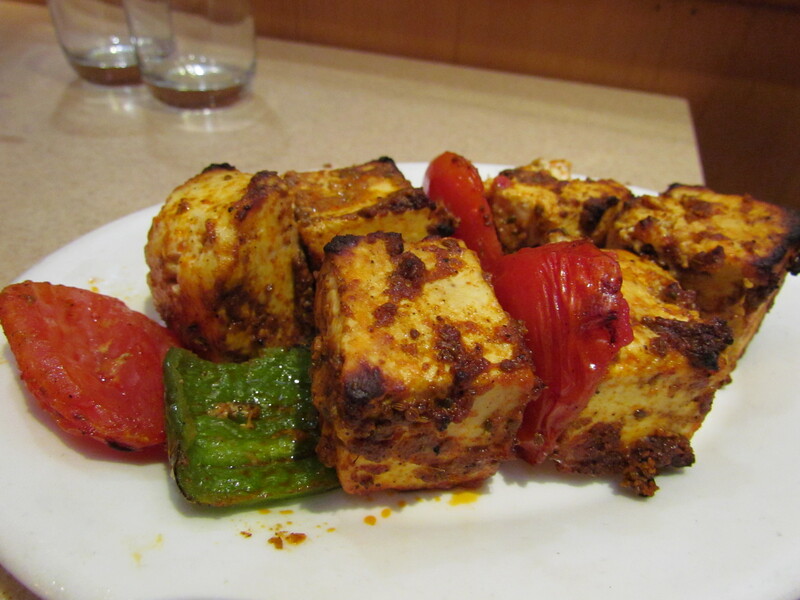 Paneer tikka at Havemore had an intense, robust, slightly hot taste, very nice balance of the spices, salt, sour etc. It was charred at the corners to the optimum extent. 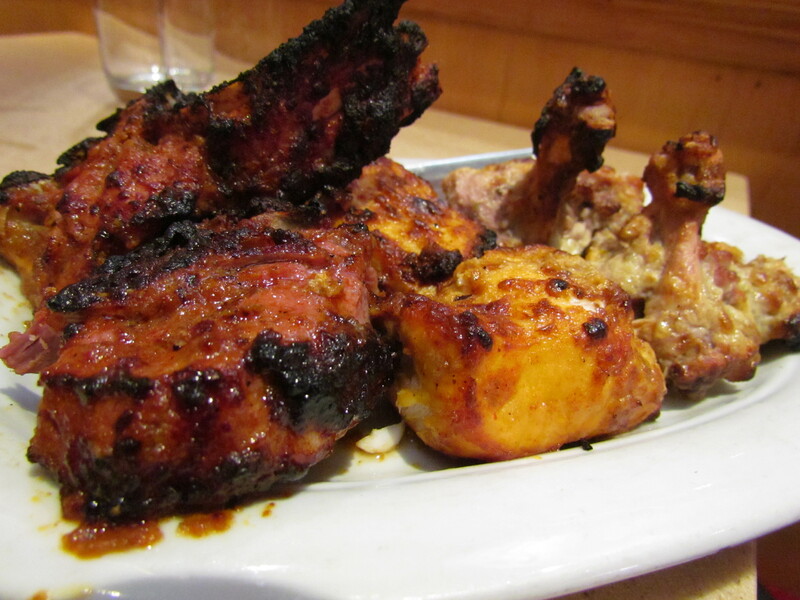 The marination had entered the middle of the tikka I guess due to incisions made – that worked like magic. The taste of the masalas was not just on the surface but also inside. 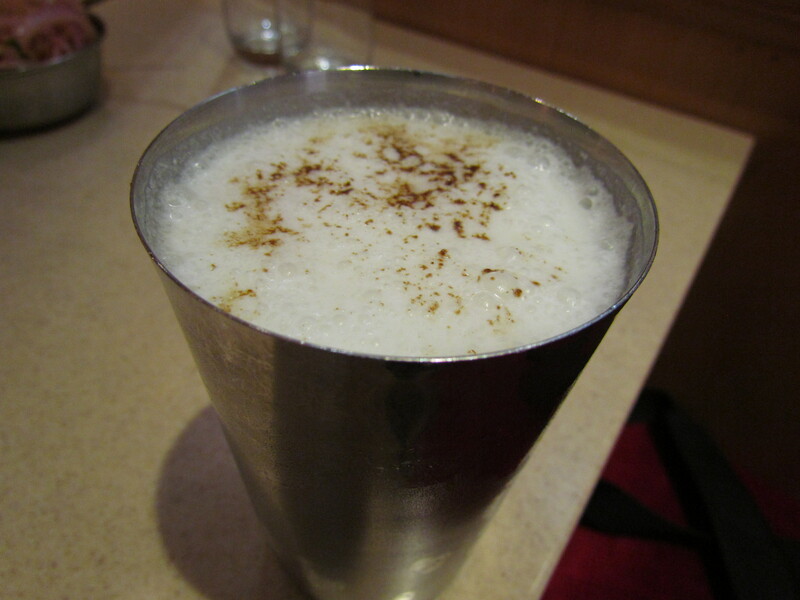 Ajwain added a twist to the flavor. Super good and I give this a 4.5/5. Post this we had Chicken kalmi kabab. Wow. It takes some caliber to transform the bland poultry chicken taste so good. Loved the kalmi kabab. 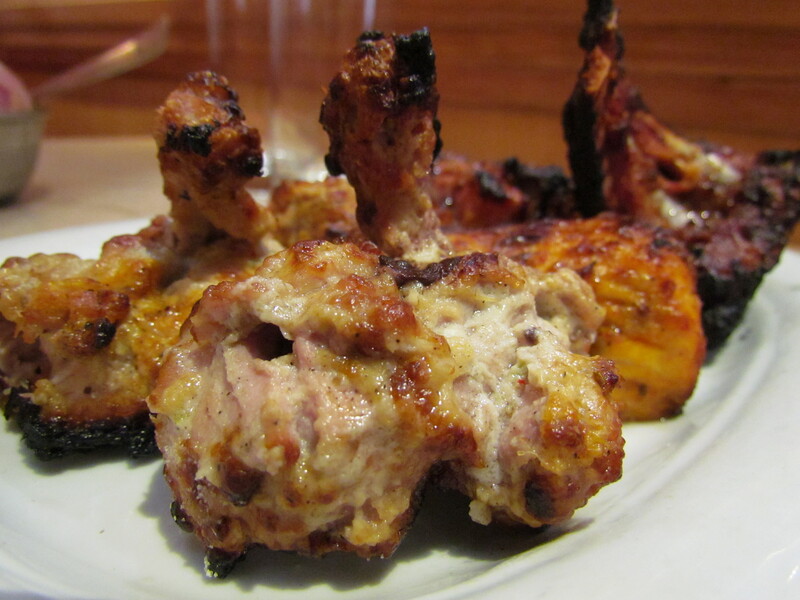 Soft and very juicy, this kabab looked very tempting as well. It was ‘subtle to medium’ spicy, and had perfect balance of salt and sour. 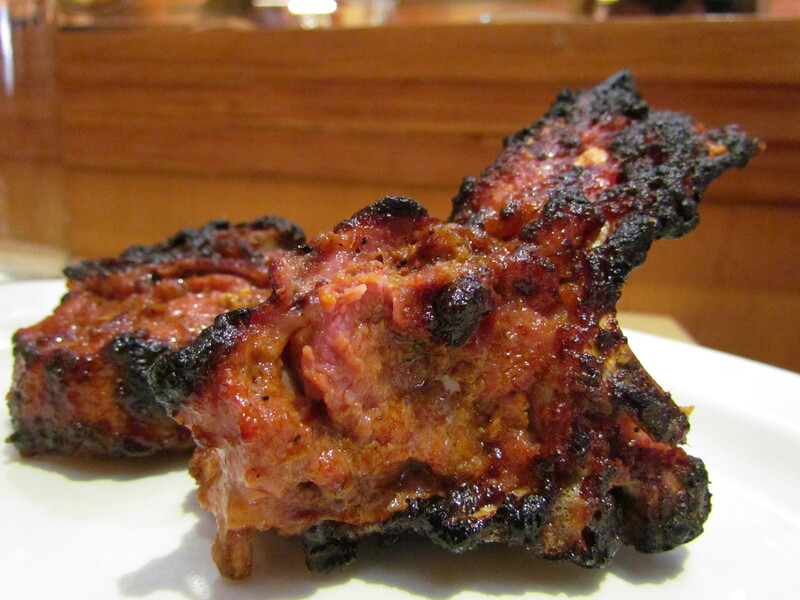 Charred at the ends, this kabab was just awesome to taste. I give this 4.5/5. 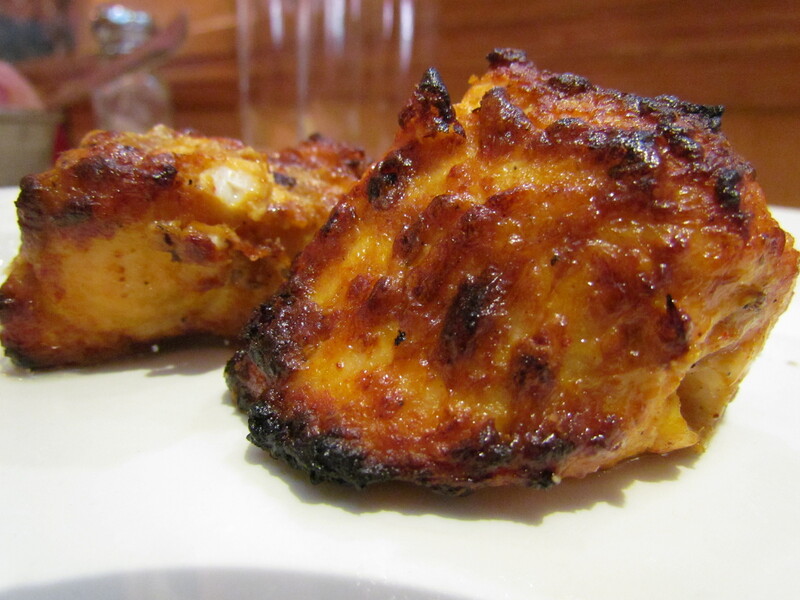 Fish tikka had a strong, robust, rustic, hot taste due to the marination. Ajwain strutted its head above the other spices used for marination. The fish itself was very good as well. Flaky, immensely juicy and just too good. I was pretty surprised that they managed to get such good fish in summers in delhi. Lovely. I rate this 4.75/5. 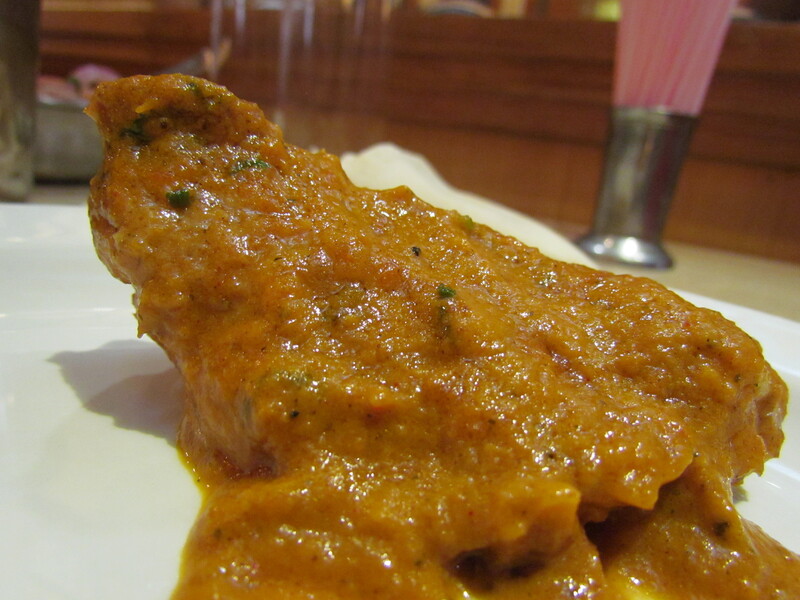 Mutton burrah – this had some class and that was evident from the first bite to the last. Long marination had ensured that the strands of the meat had almost disappeared. The spices were perfect. The texture of the meat was just right and the taste was just outstanding. Loved it and rate it 4.75/5. Garlic naan was very very good. 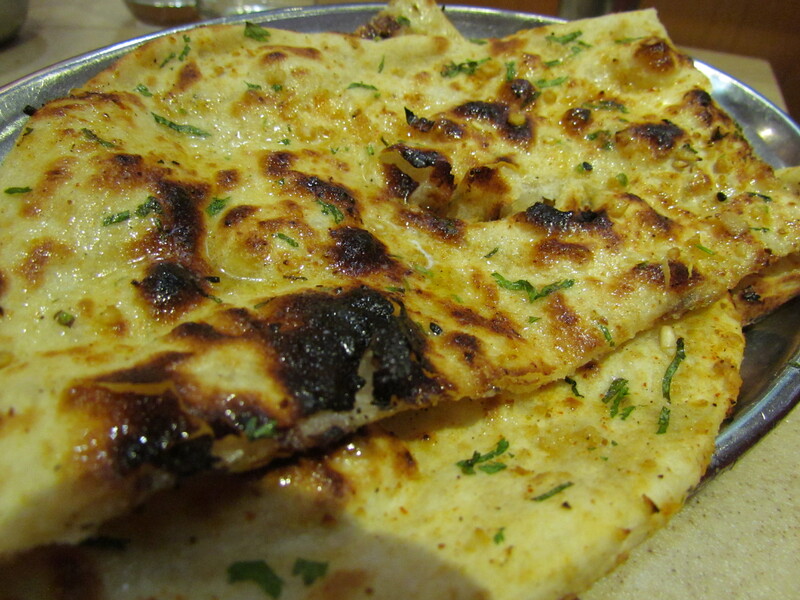 The superb aroma of this naan hit the nose as soon as it was served. It was soft and non rubbery. 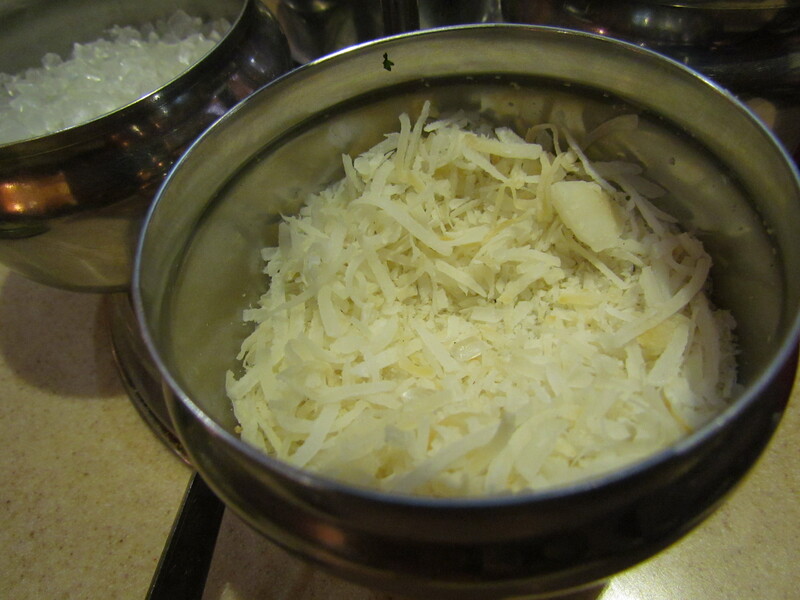 Garlic was in optimal quantity. I loved munching on it just like that as well. I give this 4.5/5. For main course we had ‘Butter chicken with bone’(there was a boneless variety as well). It was good but way short of great. Directionally it was almost fine but had implementation issues. The gravy was mildly tomatoeeee. It was not laden with lots of cream though. The salt in this dish was excess, sour was a bit more than enjoyable and it had no trace of sweet. Once again the delicate balance if these three dimensions of taste was not right. I rate the gravy 2.5/5. The chicken pieces were good – soft and tasty. I give this 3/5. Overall the rating for the dish averages out to 2.75/5. Liver gurda masala was pretty good. Loved munching on the liver and gurda pieces. The dry gravy was a mix of onions and tomatoes – good but less than very good. I like the Mughal style better – the way u get Keema Kaleji at Jawahar / Karims. 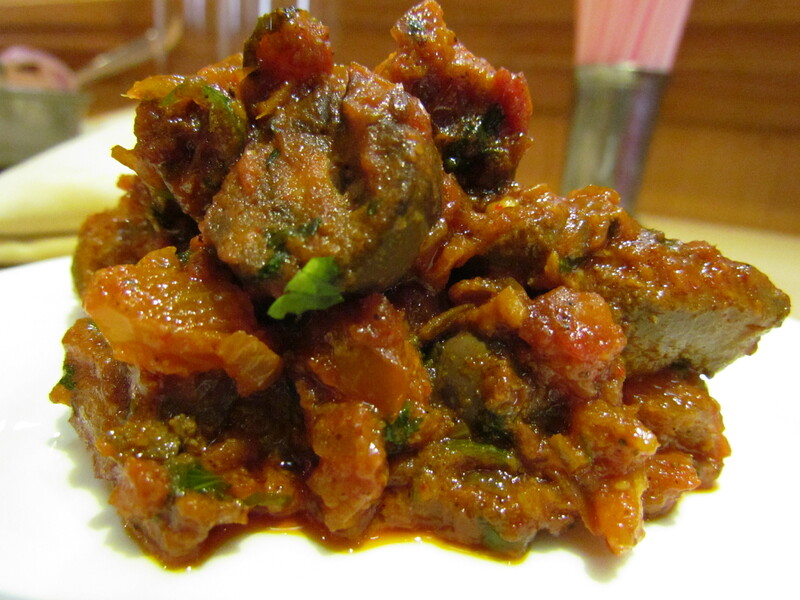 I rate Liver gurda masala 3.75/5. The rating of food at Havemore averages out to 4/5. I will surely get back here to njoy my kababs & try out other curries like saag gosth, roganjosh etc. What r u thinking? Personally I prefer Gulati but the kebabs here are definitely delicious. Great Post again! Keep it going. personally i prefer gulati. but the kebabs here are delicious. great post again. keep it up! Thanks for ur comments. Will review Gulati soon. 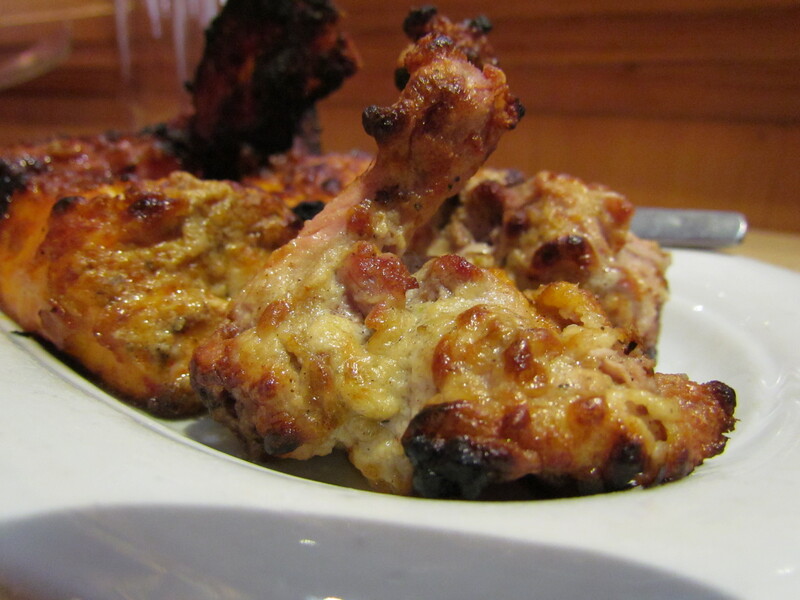 Hello Yummraj, was wondering which place in Delhi would you recommend for Butter Chicken? Thanks a lot!